For the last week and a bit, I’ve been having fun getting to know my new Google Nexus 7 Tablet from Staples! This is my very first experience using an Android. I’ve only used Apple and Microsoft products in the past so I was curious to see how I would like using an Android. I have friends who rave about their Androids and say they would never switch. After trying out the Google Nexus 7 Tablet, I can see why they say that! The tablet is impressive. 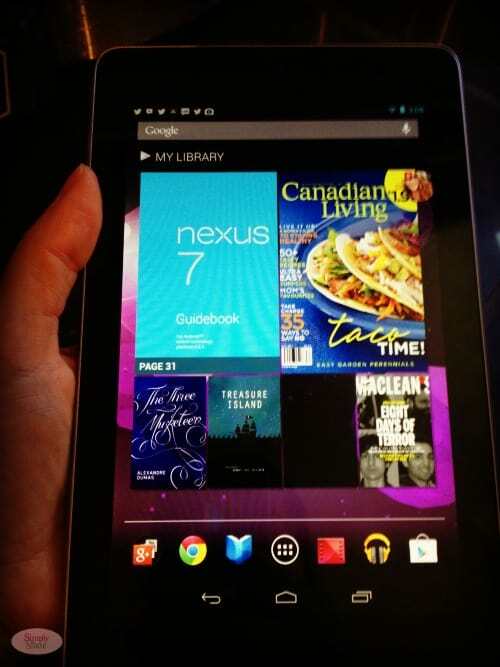 I made a list of my ten favourite things I loved about the Google Nexus 7 Tablet. 1. Easy access to everything Google. During set up, I registered with my main Gmail email which immediately connected me to all my other Google accounts. This includes YouTube, Drive, G+, GTalk and Calendar. With just a touch, I can check my emails quickly, chat with my friends, see what’s happening on G+ and check deadlines and appointments on my calendar. It also syncs with Picasa to make my photos available on the tablet too! I didn’t have to login separately because it was all done on the initial set-up! I love the convenience of having all my accounts & photos accessible in one spot. 2. Very easy to use. I was worried that it would be a complicated process to set it up, but it was very simple. I had to put in my wifi password the first time and now when I turn it on, it automatically connects to our home wifi. The layout is clean and it’s very intuitive. When I get a new email or tweet, etc, I have it set to receive a notification at the top left corner. I can quickly check to see what it is and then either check the message then or swipe the notification away. I was also able to customize the wallpaper background to really make it my own. 3. It’s fast. I love how quickly everything loads. It’s very responsive with apps opening and downloading quickly. I noticed sites also load really fast when I’m surfing the Internet. One of my pet peeves is slow Internet so I was very pleased to see how lightning fast the Google Nexus 7 Tablet was. I also appreciated the amount of storage it has: 32 GB! It also has a high resolution so photos look clear and videos sharp. I much prefer browsing Instagram on my tablet vs. my phone or laptop. 4. It has a long battery life. I usually forget to charge my devices until the battery is ready to die. I noticed that the Google Nexus 7 Tablet battery lasted a long time. With my phone and iPad, I have to charge them usually every day. With the tablet, I was able to go a few days without ever having to charge it at all. In fact, it has 10 hours of battery life when in use and 300 hours when in standby. I would say the long battery life is one of my favourite features. 5. It lightweight and travels well. The Google Nexus 7 Tablet is perfect to take with you when you travel. I hate bringing my laptop with me on trips because of the bulk. The tablet is slim and at 7 inches, will fit easily into my purse to carry with me. 6. It has awesome apps! The world is quite literally at your finger tips with the Google Nexus 7 tablet. With 675,000 apps, you can find everything and anything! I first installed my favourite apps like Instagram, Facebook, Twitter, StumbleUpon and Pinterest. Then I went exploring in the Google Play App Store. I noticed that there’s lots of free apps and it was easy to find what I was looking for. I discovered the app, Flipboard, in the Play Picks, which is a really cool way to create your own magazines with articles that interest you. They also had a section called Recommended for You where I discovered the Calorie Counter app. I’d recently read about that app in a book about losing weight. I could spend hours just exploring the apps! 7. Reading books. I’m a bookworm and have always loved reading. Now I have access to the world’s largest eBookstore and download and read books on the tablet. I can search my favourite authors and see what books are new. Dan Brown’s new book, Inferno, is listed. It can be purchased for $15.99. Once I’m finished up the books I’m currently reading, I’m going to buy that one. The tablet fits perfectly in my hand just like an eReader like a Kindle Fire would. 8. It provides hours of fun for kids. 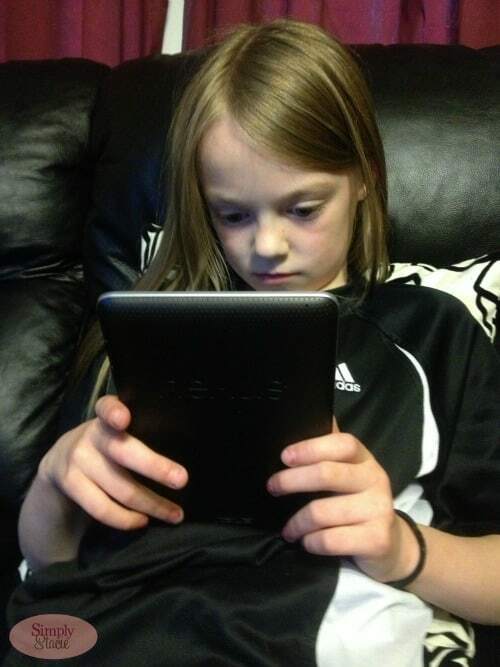 My youngest daughter loves to play games and there’s a huge amount of them to choose from. I let her pick and choose the free ones she wanted to play. She loves the Talking Tom Cat apps. There’s also a Netflix app so she can watch movies and TV shows right on the tablet! She thinks that is pretty neat. We also have plans to explore Play Movies. 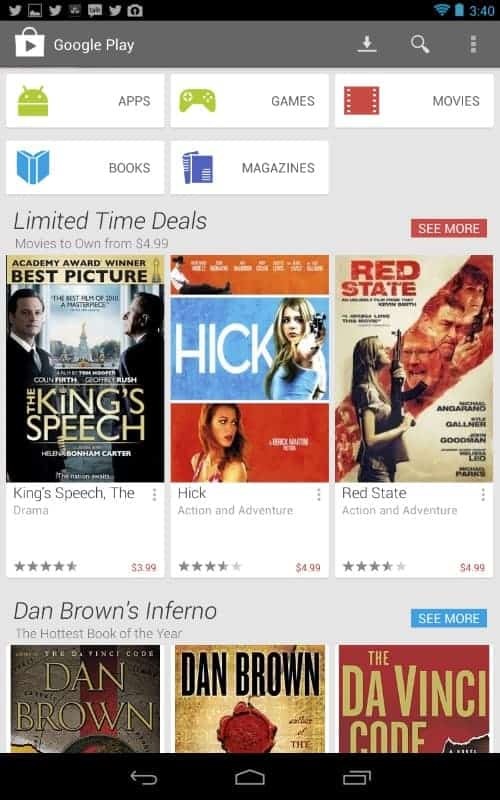 You can rent or buy movies to watch in the Play Store. They have a large selection of family movies to choose from. 9. Read the News in Currents. In Currents, I can find out all the latest of what is going on in the world and in my favourite categories. It’s like your own personalized news channel. 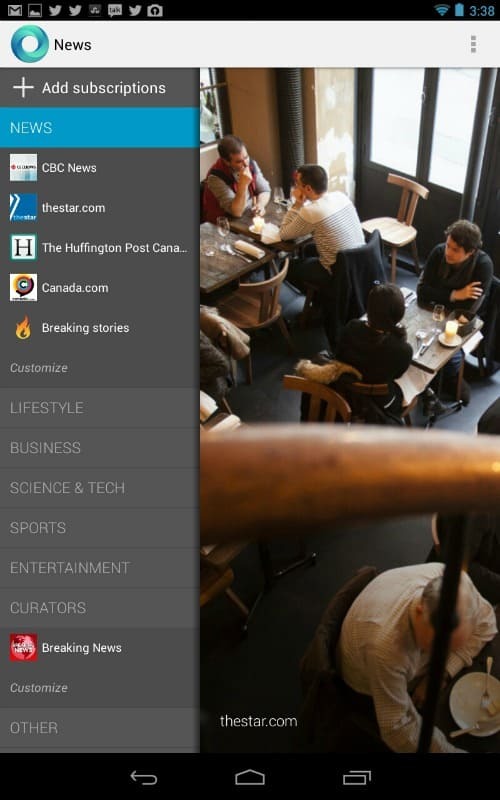 You select the publications to subscribe to and then can read on the tablet. I like to read the news while I drink my coffee in the morning. 10. Stay connected to family with Skype. I added the Skype app and can now chat with my mom in Ontario with the camera. The camera is only front-facing though so you can’t switch the view around. However, when chatting you normally want to see the person you are having a conversation with so that works for me. My experience with the Google Nexus 7 Tablet so far has been great! I could keep going, but I’m almost at 1000 words here and I don’t want to keep you all day! 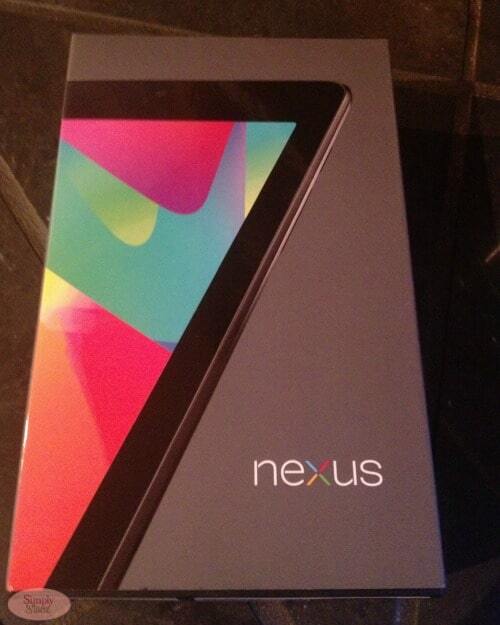 You can purchase a Google Nexus 7 Tablet at Staples for $269.00. With Father’s Day coming up next month, it would also make a nice gift for dad. My dad would flip I’m sure if I were to buy him one for Father’s day. I won’t let him steal mine because I’m having too much fun with it! Visit Staples to learn more and to see their selection of tablets. Connect with Staples Canada on Facebook & Twitter. I have an Android phone, and a Kindle Fire which Android based from what I can tell. I love them both. I am such a techy though, I have a tablet next on my list of goodies to get. Thanks for this great Google Tablet review! You know, I’d be interested in trying this out b/c it’s Google, and I’m already so used to Google applications. Love that it’s fast and lightweight! That’s really handy that you don’t have to log into everything separately. I am constantly misplacing my passwords. okay, you’ve convinced me: next time I buy a tablet; I’ll give this one a shot. I haven’t been able to afford a tablet, but should that change, I will remember your review! I have a small Kindle Fire but would love one of these next. Seems so easy to use and set up. Wow, love the features on it! 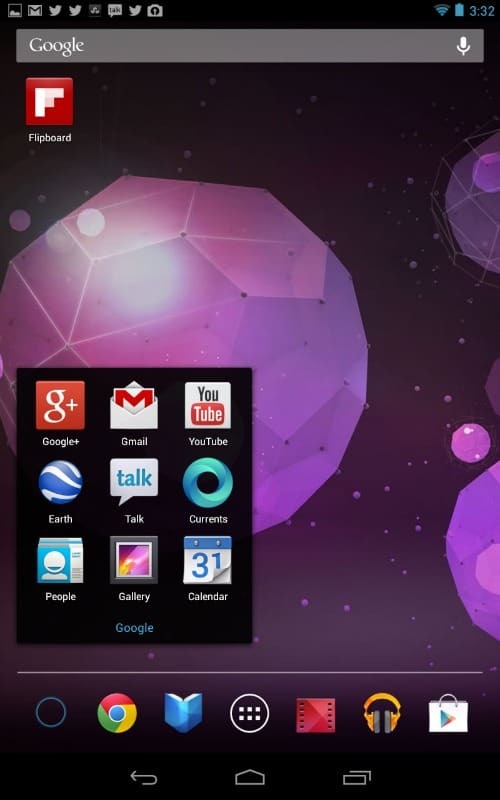 I would love the Google Nexus 7 tablet! Google always seems to do a nice job – and the price is certainly more appealing than an iPad! This looks amazing! I have a Samsung Galaxy Tab that I love to pieces. Huh! 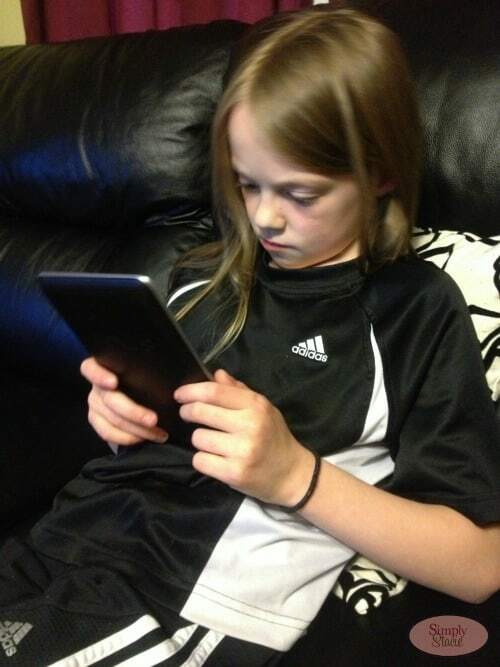 I really had no idea what this tablet consisted of – but I am impressed! Very much something I would seriously consider getting! A lot of great info. really impressed with what I read and would definitely consider this when I’m in the market for a tablet. I really, really need to get one of these…well anything tech-wise. I don’t even have a smart phone yet. Which makes me sad since there are so many ppl that I would love to follow on instagram. This looks like a great tablet. I am reading all I can about them so I will be ready when time to purchase! We’re an Android family and I’ve been trying to find the perfect tablet to add to our family that’s Google friendly. Love how easy this looks to use as well as the access to Google Play’s apps. This looks like a great “machine”: lightweight, powerful and even better, integrated with Google, which is where I tend to spend more and more time with Google applications. All of the things you love about the Nexus, I love about my Kindle Fire. I was so pleasantly surprised by the battery life, and the crazy amounts of available apps. 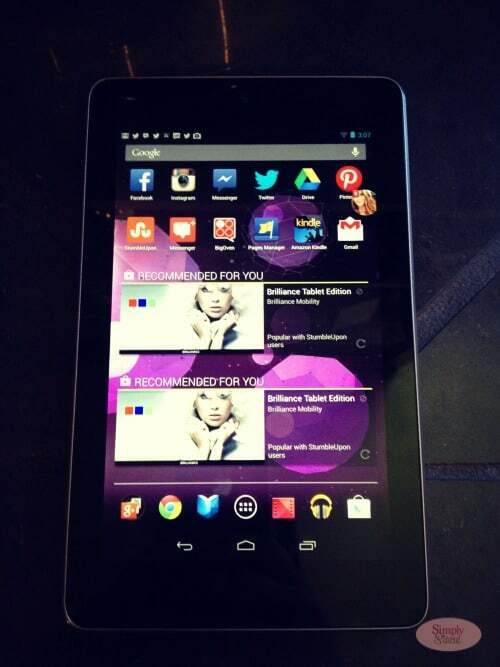 My boyfriend does need a tablet, however, and we are looking into the Google Nexus 7. Thanks for the review! I haven’t checked out this tablet yet. Looks like a nice tablet. I’m still searching for my first one, and I’m on the lookout for alternatives to the iPad. I recently reviewed this tablet and really love it. It was quite possibly the easiest electronic to get going I’ve ever owned. I haven’t tried an Android device yet. I get a lot of reading done on the bus and subway. Sounds like the Nexus 7 would be good to carry with me. I use Android,Mac,Windows Pc and Blackberry.They all have different strengths. That sounds like it has a lot of great features. I have been wanting a tablet, but hadn’t decided on which one to get yet. I am impressed that it is so affordable. I thought these tablets were a lot more expensive (I don;t own one, but I am in the market). A very good article.It touched on many of things that I really enjoy about the Tablet. The Nexus 7 seems like a very good tablet, I wouldn’t mind having one. It’s a great tablet for anyone, no matter how experienced they are with new technology.